The Contact opener started before the band took the stage, as they were driven to the front in golf carts and performed the song off stage. Some fans didn’t even realize the show had started until well into Llama, as that song was begun off stage. I Didn't Know featured Fish on the Madonna washboard. The Horse, the ending of Tweezer and Fluffhead, and the beginning of My Friend featured Trey on acoustic guitar. The Bowie intro contained a Squirming Coil tease from Trey. The show took place in Starwood Amphitheatre's concessions area, which was roped off to accommodate 3,500 though fewer than 1,800 tickets were sold. I saw the post on the front page today about how it was actually called "the Plaza" not the Veranda (I have always referred to it as the Beer Garden show) and had to post some memories. 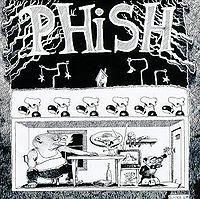 Not only was it a solid show after the previous night's Tennessee Theater (Knoxville) it was one of those shows that, in my first year of seeing PHiSH (this was my 4th show as they didn't play down South that much back then,) cemented a deepset affection (addiction?) for this different type of JAM and what this band from Vermont was all about. They came out in golf carts, for Christ's sake, and just RIPPED. I had been to Starwood MANY times prior to this night (Aerosmith/Gn'R, b-52's, Boston, Jimmy Buffett, Elton John, Clapton, Journey, and on and on, even Steely Dan just a month prior!) but nothing prepared me for the show we would see in the beer garden, veranda, plaza, whatever you wanna call it. With very few other lucky phreaks, we caught some serious heat that night. After the Contact opener, Llama came out to show they were there to fry us good. The tip of the hat to Bill Monroe's uncle Pen and to Nashville's bluegrass/country heritage I thought was very fitting. Stash, Ester>Chalkdust BOOM BOOM BOOM!! 2001 opener was short and sick going into one of those unsung epic Tweezers you wanna hear everytime. Fluff>MFMF was just pure magic. I also remember the Bowie being well played and a great power ending to that set. Walk Away became a song I listened to over and over after that show. I love the James Gang and hearing PHiSH do that tune just took them over the top for me. Hearing them do Amazing Grace brought chills to my neck as I remember my grandmother, who passed away the Christmas before, and who was from Nashville, singing that to me as a small child. 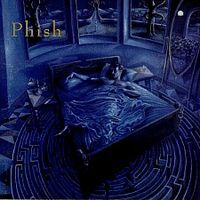 PHiSH always had a tendency to surprise you and make you feel like you were connected. 118 shows later, they still do. THE GOOD: This show features some absolutely frenetic and firey segments which build upon the tour's trend of increasing the speed and intensity of nearly every song. In particular, a lot of the improvisation in this show focuses around DEG-like moments which yield chaotic and intense yet brief jams (e.g. Stash, Tweezer, and Bowie). Trey's work is phenomenal throughout the show - check out Chalkdust (amazing) and Reba (!!!) for spotlights. The result is a show of break-neck type-I songs and shorter yet speedy explosive jams; it's a great combination that really works - this show is wonderful. Stash, Chalkdust, Reba, and Bowie are all worth repeated play. THE BAD: Probably the worst part about this show is just that the soundboard does not circulate! ETC: Look for Dave's Energy Guide teases in Stash (8:10) and Bowie (8:25). I Didn't Know was dedicated to the Blokes and there's a reference to the "ancient sounds of England". 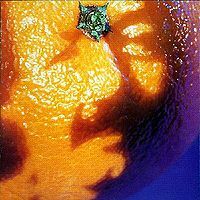 Tweezer contains inaudible and eerie Trey whispering (a la 12/29/94 Bowie) as well as a heavy-metal jam. 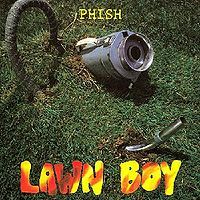 Listen to Trey describe Poor Heart as "Vermont Grass" as well as an I Dream of Jeannie tease by Page in Fluffhead (8:23).